There are many reasons why byelections are not a true test of very much. But when party leaders throw themselves into the fray, those reasons go out the door, Alison Crawford writes. Cue the excuses and the spin. The Conservatives nearly lost their safe Manitoba seat of Brandon-Souris Monday night and the NDP failed to take either one of the Liberal strongholds in Toronto (Toronto-Centre) and Montreal (Bourassa) while losing substantial ground in Manitoba. "Don't let anyone tell you this byelection doesn't matter — there's a lot on the line," he told Brandon voters in a letter. Indeed there was — leadership. 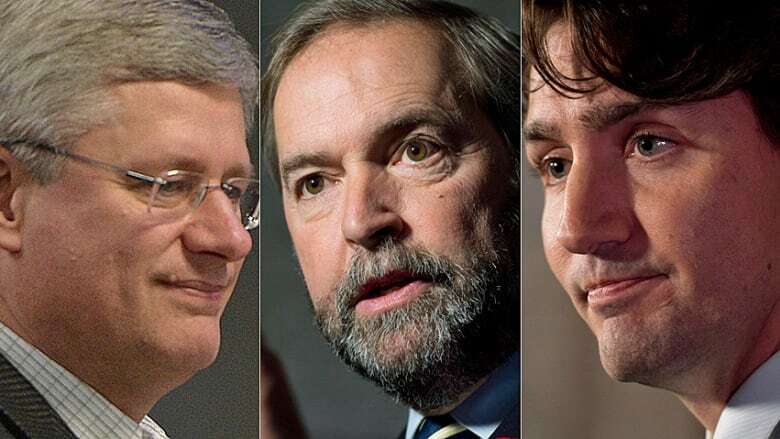 This was the first opportunity for all three parties to gauge the impact of the Senate scandal and another chance to test the appeal of NDP Leader Tom Mulcair and Liberal Leader Justin Trudeau, neither of whom has led their parties in a general election. When the prime minister called the byelections he could scarcely have imagined his party would come so close to losing Brandon and see the Liberals in the other Manitoba riding up for grabs, Provencher, do as well as they did. It was also an example, perhaps, of the dangers of intervening so much in a local election when you are a prime minister trying to face down a (Senate) scandal in Ottawa. Harper personally stepped in to save the riding late last week when he penned a letter directly to voters in Brandon. He poured scorn on Dinsdale for returning to his hometown only to run in the byelection, and he aimed his ire at Trudeau for his plan to legalize marijuana. Harper also got as close to Brandon as is seemly for a prime minister during a byelection by travelling to Winnipeg last week to attend a Jets game and cut the ribbon on a nine-kilometre stretch of new road. All the while, the Conservative Party produced a national radio attack ad again focused on Trudeau. The entire effect was to make it clear that the Conservatives see the Liberals and not the NDP as their primary threat. But with all that firepower spent, they undoubtedly expected a better return. Things went better for the Conservatives in Provencher, where former cabinet minister Vic Toews last won with 70 per cent of the vote. Conservative candidate Ted Falk followed the party's time-tested practice of avoiding debates and keeping public appearances to a bare minimum. But then Falk marked Bullying Awareness Week by asking a local gay teenager whether he'd really been bullied. 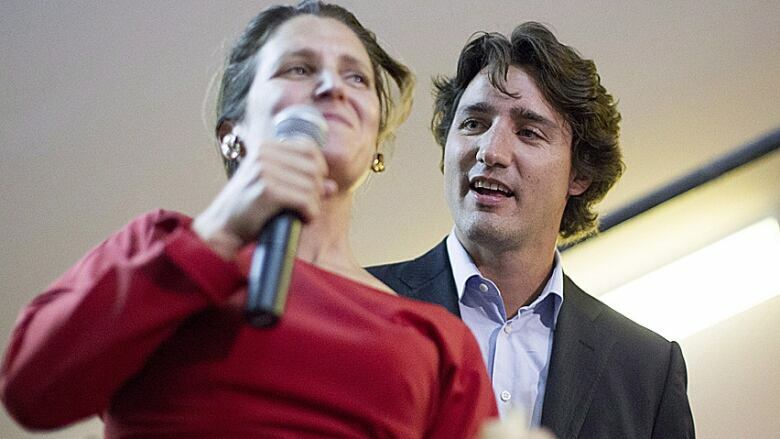 Federal Liberal Leader Justin Trudeau, right, made several trips to the riding of Toronto Centre to campaign with star Liberal candidate Chrystia Freeland. (Chris Young/Canadian Press)Last February, Evan Wiens was promoting a gay-straight alliance at his school when students were caught on tape making derogatory comments. Falk questioned whether the taunts had been staged. The NDP and Liberal candidates both called on Falk to apologize, to no avail. 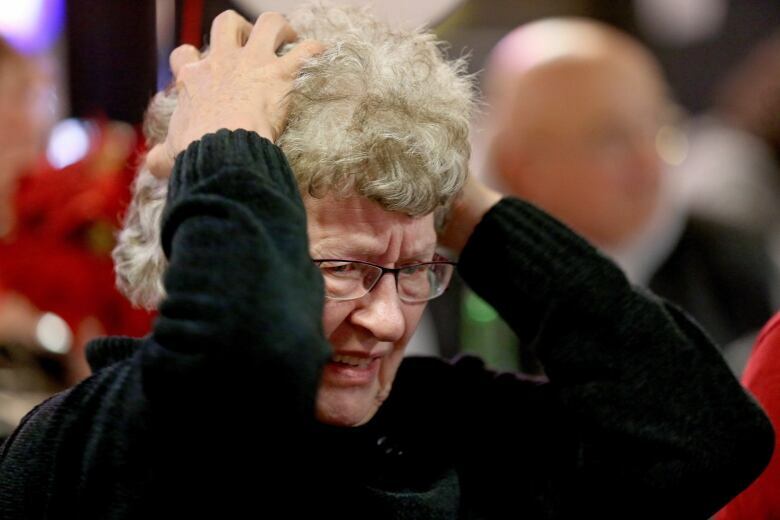 Falk won the election handily Monday night, but the story in Provencher is the drop in NDP support from 18 per cent of the vote in 2011 to eight per cent yesterday, while the Liberals increased their vote to 30 per cent from seven. When the byelections were called, the Liberals only had 61 members in Brandon-Souris and 66 in Provencher. They now have roughly 300 and 150 respectively. Those aren't robust numbers, but the party would be hard-pressed to remember the last time hundreds of Manitobans signed up to become Liberals. Explaining why the Liberals did as well as they did in these Prairie ridings is more difficult. Sure, the Dinsdale name is a factor. Rolf Dinsdale's father, Walter, was the Conservative MP in Brandon for 30 years. But when local Conservative screw-ups and the Senate scandal prompted voters to consider an alternative, that tossed open the door for both the NDP and the Liberals. Mulcair and Trudeau each made several visits to Brandon as well as stops in Provencher, where they attracted large crowds. People are always curious about the alternatives, but in this case they appear to have preferred the Liberals. Even the NDP candidate in Brandon, Cory Szczepanski, told the Winnipeg Free Press, "I knew I had an uphill battle, I just didn't expect it would be against a Liberal." In Brandon, the NDP were probably hobbled when the provincial NDP government hiked the PST. But Manitoba voters have been good in the past at distinguishing between provincial and federal New Democrats. So it may be here that we are seeing proof of the Trudeau effect on people outside the party. Yet in Toronto-Centre, Trudeau had to work far harder than anyone expected to keep the long-held riding Liberal. He showed up every few days to help his candidate Chrystia Freeland in one of the country's safest Liberal seats. Now though, the NDP is nipping at the party's heels thanks to it borrowing a successful Conservative "you're not from here" strategy. Author and journalist Freeland is originally from Alberta and spent 10 years outside Canada before returning to Toronto to run. And she had to rely on others to get noticed while mainstreeting, including her friends former prime minister Paul Martin and Ontario Premier Kathleen Wynne. The NDP marketed its candidate, Linda McQuaig, also a well-known author and journalist as "From Toronto. For Toronto." The party also obtained celebrity endorsements and produced slick campaign videos. For Mulcair, this was a chance to see how well his leadership skills, widely praised by pundits for his prosecution-like handling of the Senate scandal, played with regular Canadians. But from the outset, he downplayed expectations for Bourassa, in suburban Montreal, calling it a "Liberal fortress." Of course he is also fond of telling people his riding of Outremont was also a Liberal fortress until he won it in a 2007 byelection. The NDP wanted to show Quebecers that Mulcair has what it takes to follow through on what Jack Layton achieved in 2011, when his late-hour surge ended up taking 58 of the province's 75 seats. Instead, the NDP result stayed the same while the Liberal share of the vote grew at the expense of the Bloc Québécois.